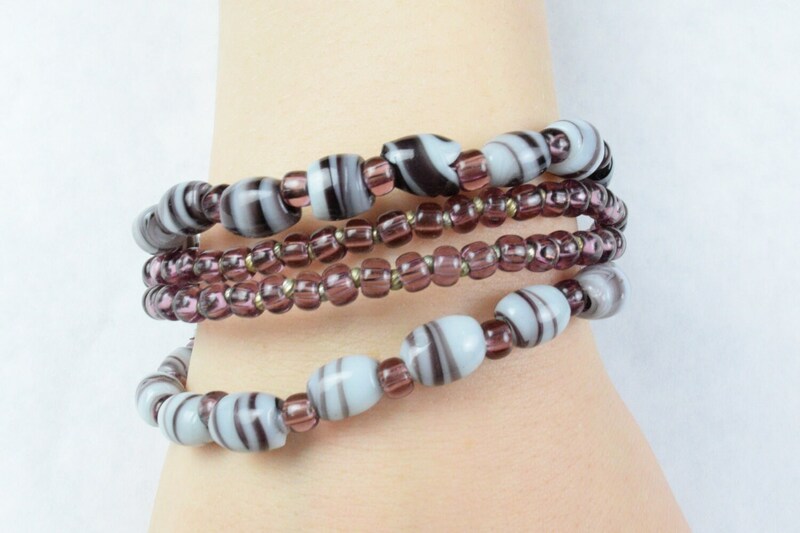 This beautiful multi-strand bracelet is a showstopper made with vintage glass purple and white stripped wire-wound lamp beads and purple Japanese Miyuki 5mm Pony beads with silver findings*. These vintage beads have never been used. A retired bead wholesaler found these vintage beads tucked away in a forgotten corner of their warehouse. They were originally purchased during a trip abroad.